This year, VBS includes Bible students from Pre-K through 8th grade. All high school participants will assist the class leaders. You are able to enroll you and your child here or you may enroll at Hermon Church (107 Heckle Blvd; Rock Hill). 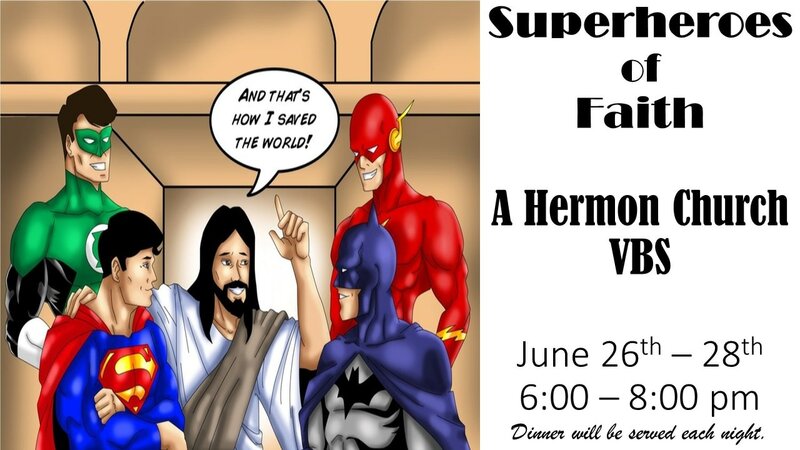 By registering my child for this event I give my permission to Hermon Church for free use of my child's picture in broadcasts, telecasts or written accounts of any activity at Hermon Church. Wait, I would like to volunteer!